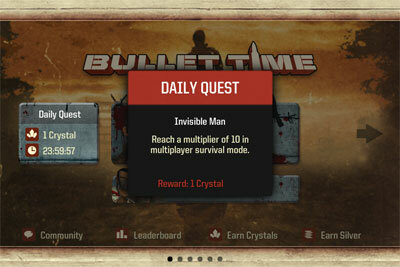 The daily quest are some random objectives that one can complete to obtain rewards like crystals. Unlike quests, daily quest is completely optional and one would receive a daily quest each day he is online. A daily quest titled "Invisible Man"